Dinosaur lovers beware! 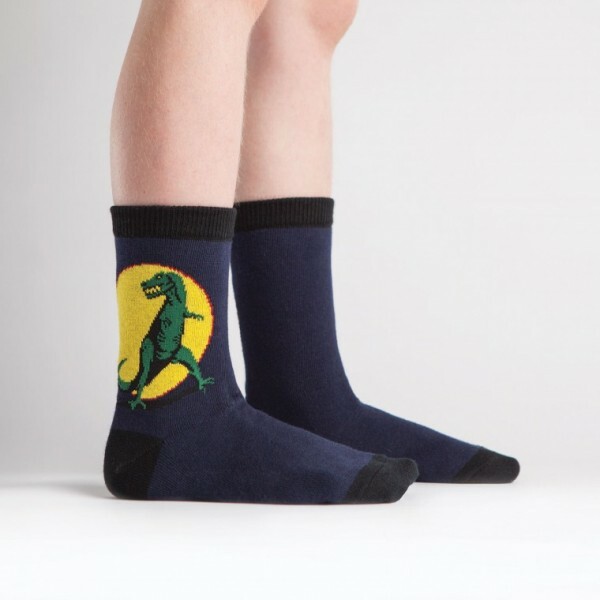 These T-Rex socks may cause excessive growling and stomping through the yard, chasing smaller dinosaurs/brothers and sisters. 69% Cotton, 29% Polyester, 2% Spandex. Made in Korea. Our threads are certified by OEKO-TEX® Standard 100, which means we leave out harmful chemicals to keep your skin safe and happy.